SkyDocs is a software that takes your MarkDown files and build a complete website with some magic tricks ! - Host it anywhere : it's static ! - Automatically minifies HTML, CSS and JS files in production mode. 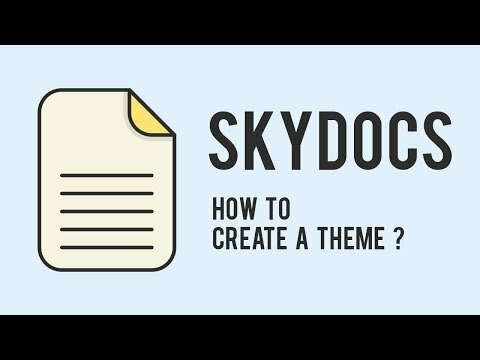 SkyDocs was added by Skyost in Aug 2017 and the latest update was made in Jul 2018. The list of alternatives was updated Sep 2018 There is a history of all activites on SkyDocs in our Activity Log. It's possible to update the information on SkyDocs or report it as discontinued, duplicated or spam. Self hosting any HTML documentation. Alternatives to SkyDocs for Windows, Mac, Linux, Self-Hosted, Web and more. Filter by license to discover only free or Open Source alternatives. This list contains a total of 16 apps similar to SkyDocs. I think it's a pretty cool program. Maybe a bit complicated for beginners but still fine. Maybe you want to be the first to submit a comment about SkyDocs? Just click the button up to your right!